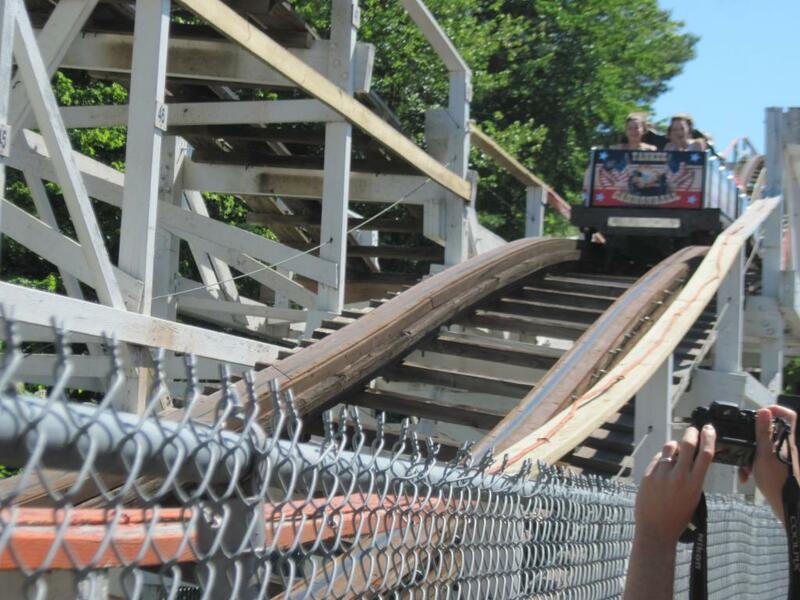 Review of Canobie Lake Park’s iconic Yankee Cannonball roller coaster. 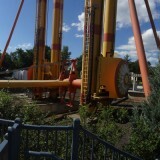 Welcome to SFNE Online’s first ride review post. This is Shane, you may know me as CanobieFan on the forums. I thought it’d be cool to review rides on the site so that they might help people plan day-cations or even vacations around. If you guys like this format then I’ll post a reviews for various different coasters and rides in the New England amusement parks. 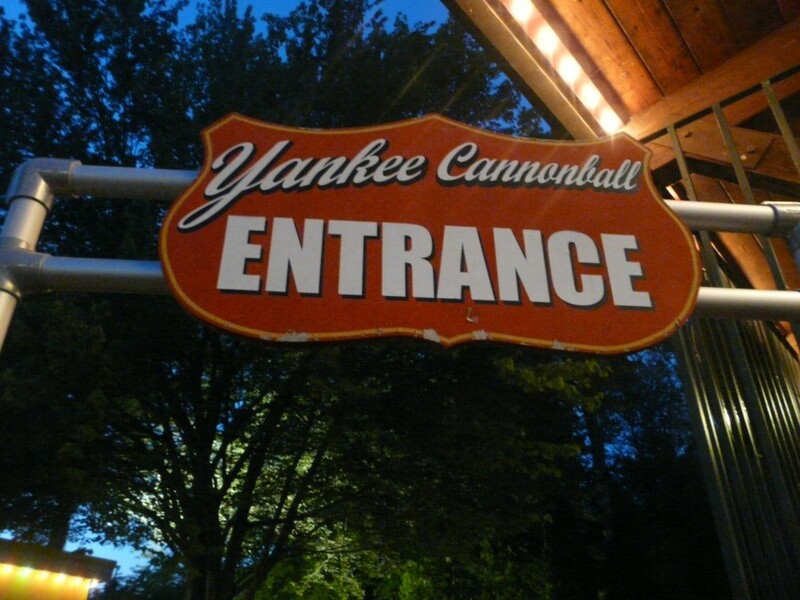 To start us off, I thought I would review my very first coaster, the Yankee Cannonball at Canobie Lake Park. Cannonball is the classic coaster at Canobie. This is Canobie’s saving point and is definitely worth a ride. 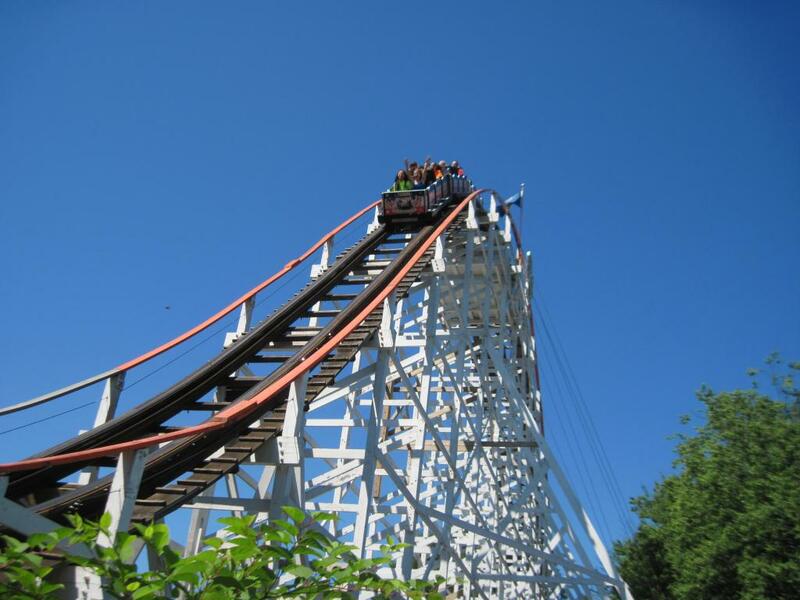 Yankee Cannonball was built in Waterbury, Connecticut under the name Roller Coaster at Lakewood Park. When that park closed, Canobie happened to be reopening after it’s two year closure when the trolley system went kaput. This is when the Yankee Cannonball was bought. It was known as Greyhound for some years, then returned to Coaster. 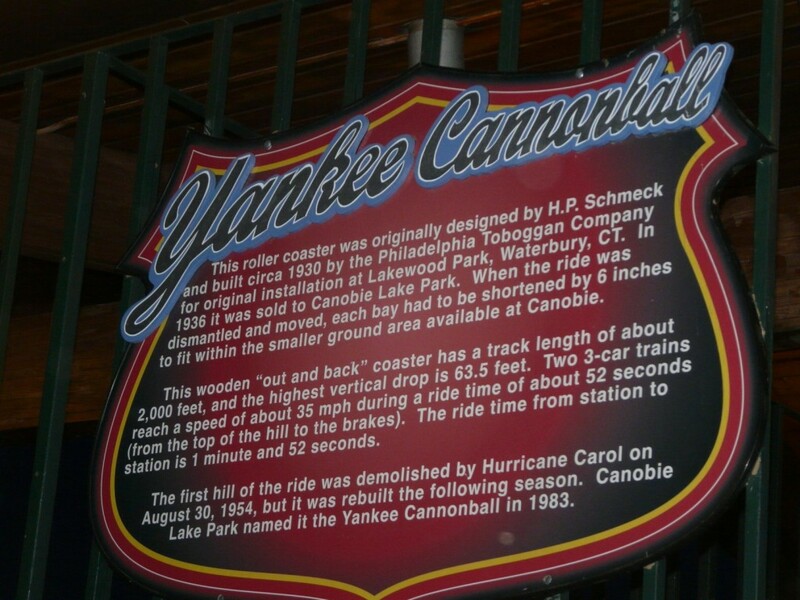 It was finally named Yankee Cannonball in 1985. In 2001 there was an accident where the two trains collided at the bottom of the lift hill. After the accident there could only be one train operation. Normally, a park guest who sees an old wooden coaster thinks that their backs are going to be split into two or they expect bruised ribs. Yankee Cannonball is the exact opposite. For its age, it’s incredibly smooth and enjoyable. It has the little bit of roughness that people come to expect from a wooden coaster but not too too bad. 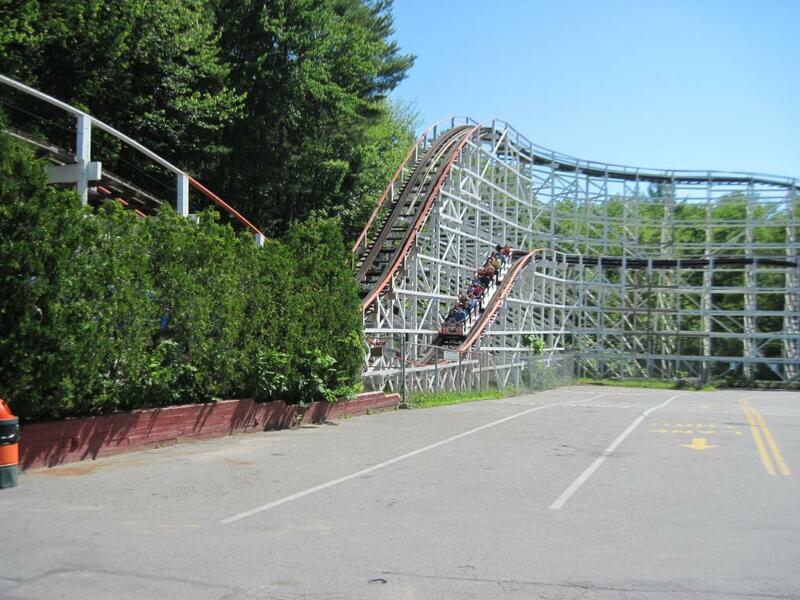 It’s probably the best maintained wooden coaster in New England. One complaint I do have though is that when Martin and Vleminckx retracked the turnaround portion of the coaster they did more bad than good. Before the retrack, the ride was fine. The drop following the turnaround used to pack a punch. Canobie did try rebuilding it but it didn’t help that much. The airtime on the ride is the best on any wooden coaster in the area. Every hill has either floater, or pure ejector (standing up) airtime. In my opinion, the smaller the hill, the more ejector it brings. Words cannot describe the phenomenal airtime machine this is. None of the airtime is painful. Another great thing about Yankee Cannonball is that it isn’t trimmed anywhere. The train on the ride is a PTC with buzzbars. The buzzbars allow for serious ejector and it’s just amazing. Canobie maintains the trains incredibly well. They are cushioned and have headrests, which sadly blocks the chance of having a nice view. Like I mentioned earlier, Yankee Cannonball can only operate with one train. This usually means there is always a long wait. If Canobie wants to fix this they are required to change the coaster’s brake system. It is said that a new brake system would cost just about as much as a new roller coaster would. There is also a pretty good chance that the buzzbars would need to be removed. In my opinion, two train operations isn’t worth it. Though it may be beneficial to non-enthusiasts park guests. As for removing the headrests… Like I said above, they block the view. Nothing else to be said. Yankee Cannonball definitely needs to be retracked on the turnaround. It’s bumpy and kinda uncomfortable. That’s the only part of the ride where its age really shows. Make a bigger sign showing where the entrance is! I hear people saying all the time “Where’s the entrance?” or “Are we going the wrong way?” If you need to, put directions! 3.8 out of 5 stars Canobie Lake Park has an outstanding classic on their hands. 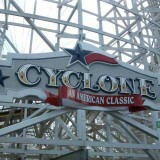 It’s definetely one of the best wooden coasters in New England and is highly overshadowed. Riders should definitely get a ride on this. In all, Yankee Cannonball still remains in my top 5 coasters. It places at #4. What do you think? Tell us your score for Yankee Cannonball by ranking the coaster in each of the following categories with a number between 1 and 5, 1 being the lowest possible score and 5 being the highest. The categories are Smoothness, Airtime, Trains, Adrenaline, and Overall Fun. Next story Poll: Remove the audio from Bizarro or keep it? Awesome ride review! I like it! As for the turn around, it didn’t really change that drastically. But I really like this idea of ride reviews! You get 3.8 as the average. The concept does need tweaking. I would prefer more reader input going into the review rather than have one person do one ride. But it’s a good start. Thanks for the feedback guys! Yeah, this concept needs tweaking, but I think I’ll post these again I hope. Great to hear you enjoyed it. 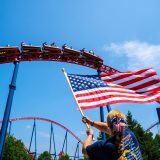 Upcoming Six Flags New England Park Events! 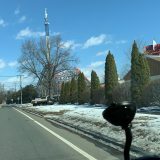 Six Flags New England Is Open For The 2019 Season! 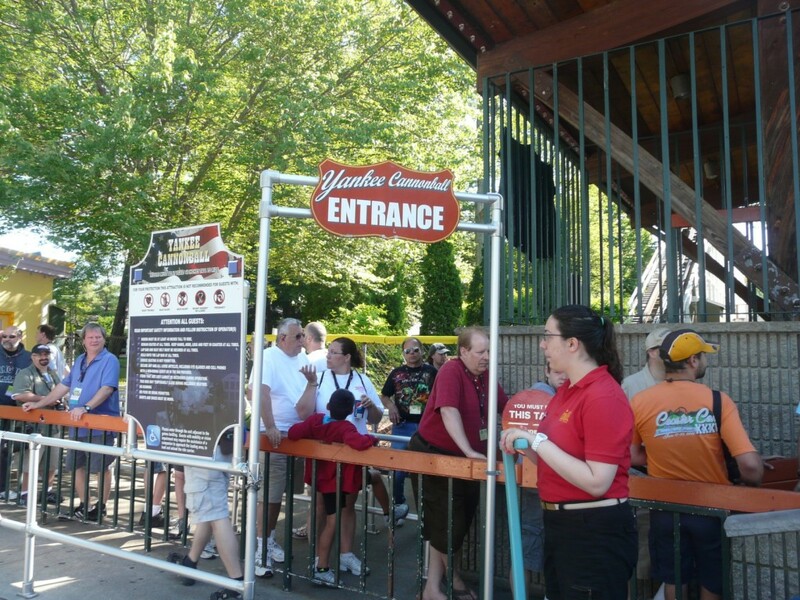 Tips To Make Your Opening Day At Six Flags New England A Success! 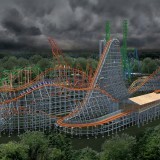 Wicked Cyclone is coming to Six Flags New England in 2015! 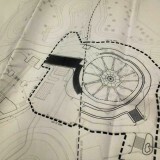 What will replace Six Flags New England's Catapult? Cyborg is hot. Grid is hot. I'm ready. 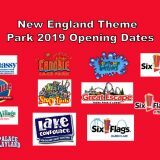 New for 2019 at Six Flags New England! CYBORG! 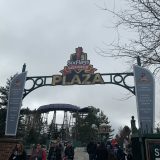 Six Flags New England Opening Day 2018! SFNE Online © 2019. All Rights Reserved.